If you haven’t seen our Discover St. Charles video, grab a cup of coffee or a bowl of popcorn, and get to know us! We had a wonderful time with Discover St. Charles and we appreciate the opportunity to highlight our business. Now, we know it’s a long video and not everyone has 23 minutes to spare, so we decided to highlight some of the key topics discussed in the video. Here are the areas: Our Start, Services, Water Restoration, Oriental Rugs, Air Quality, Story Time and the St. Charles and St. Louis Community. Let’s dive in! First of all, a questions we are often asked: how did you get your start? It all started in 1985, a year after Jeff got out of school. 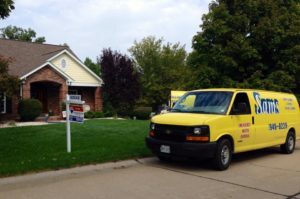 He saw a need for the carpet cleaning business and took it upon himself to make it happen! He rented a machine and started cleaning the houses of friends, family and neighbors. He saw a big difference and the happiness and joy he saw on the faces of customers, that’s when he was hooked. Jeff became interested in learning more about carpets and the carpet cleaning business. He went out and got certified, became an expert on cleaning carpets and the construction of carpets. After a couple years, Jeff was able to purchase a truck mounted system. In the beginning, it was just Jeff, his mom and dad! You can definitely say it has always been, and will always be, a family business. At that point, he started hiring great employees who helped him to build the company and continue to grow. 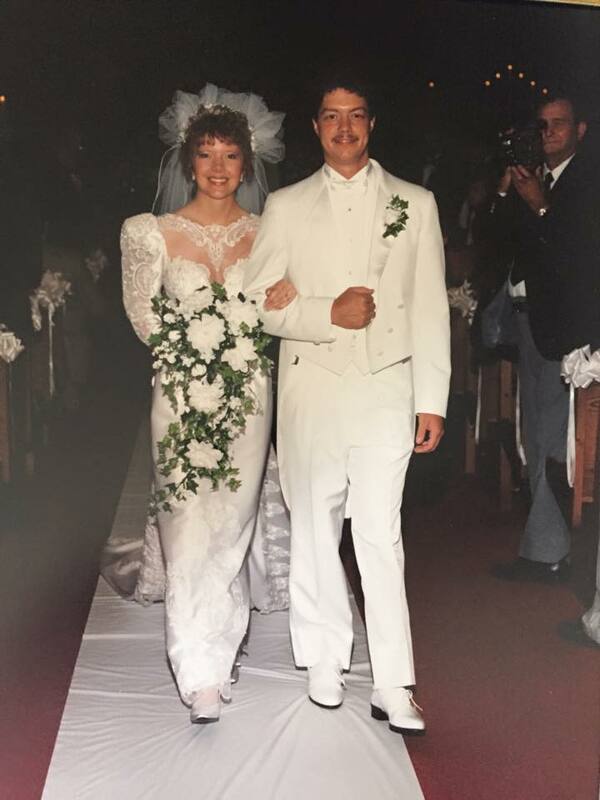 Jeff and Susan met in 1985 and got married in 1990. When they first met, Susan was going to school to get her bachelor’s degree and was gaining experience in the corporate world. As the family business continued to grow, Susan and Jeff decided to take a risk and for Susan to join the Sams team, full time. She was able to bring her knowledge and skills to the company through marketing and the management side of the business. Susan loves networking and going out into the community, talking to customers, speaking at events, etc., and was a major asset to the team. “When Susan joined the business, she began networking and made a massive improvement in the company. She was out there every day promoting, and is still out in the community promoting Sams Carpet! She has assisted with marketing and growing the company. Thanks to her, we have grown our business to the next level,” said Jeff. 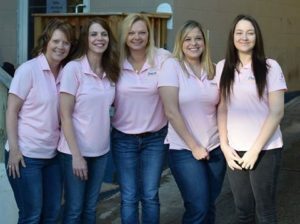 We are now up to 32 employees with different roles, ranging from carpet repairs, carpet cleaning, office managers, operations managers, and more. Without them, we wouldn’t be as strong, and we feel incredibly lucky to work with such a talented group. 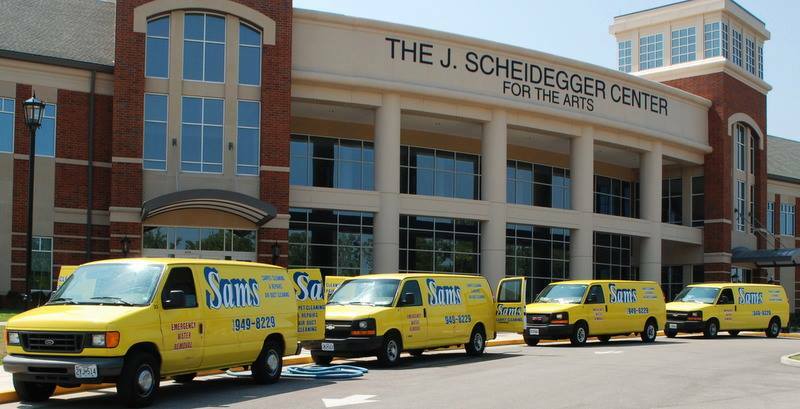 Over the years, the needs and wants of the St. Charles and St. Louis community have changed, and it was important to us as a business to grow and meet those needs. We have added services over the years to best serve our clients and we will continue to grow in order to provide the best for the community. 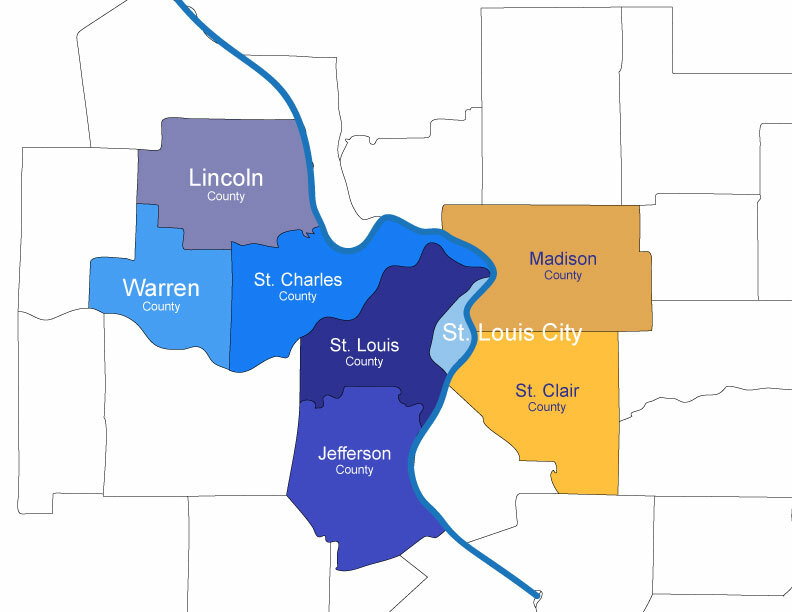 We service throughout the St. Louis metropolitan area, and we treat our customers so that they can be part of our family as well. After all, it means a lot to us that you opened up your doors and homes to us and we want to treat you like family. We are open 24/7, 365 days a year. We are here when they customer needs us. They don’t need us a month from now, they need us yesterday and that’s why we built this company to provide those services when an emergency or situation comes up. This is one of our services that many people don’t know we offer! In case of water damage, we should be your first call. So what does the process look like? After giving us a call, we send a technician out, within minutes, to your house or business. The technician will get inside, assess the severity of the situation and get a crew out to begin work. The sooner we get the carpet and furniture dry, the better chance we have of saving your belongings. We will set up drying equipment to help dry out the space and then we will run testing, including moisture readings, to find out exactly how much moisture is in the air and in the walls so we know where the place the equipment and how much equipment is needed. Once we set everything up, we come back on a daily basis to monitor the equipment and ensure we get everything dry. Once everything is completely dry, we put back the carpets, the furniture, replace the drywall, re-stretch the carpets, clean the carpets, etc. 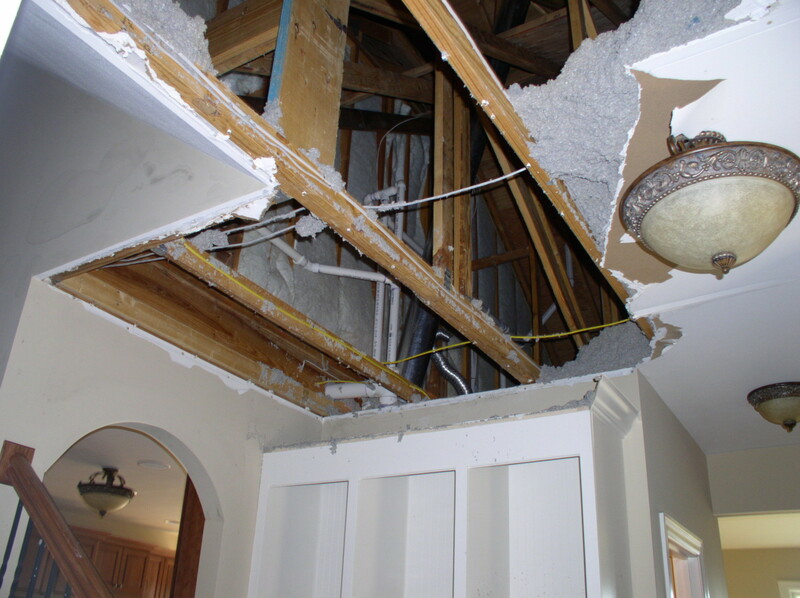 The quicker we get everything dried out, the best chance you have of no mold or serious damage. Water restoration is something you hope to never deal with, but in case a disaster occurs, now you know who to call! Not only do we want to take care of your carpets, but we also want to take care of the entire living environment inside your home or business. We often receive phone calls from people with allergies who are looking to improve their air quality. We come in and not only clean the air ducts, returns and vents, but clean the entire system, which will greatly improve the air quality. At Sams, we have a great, high quality brush system that runs through our truck and goes through your system to extract everything. It brings it outside so that we are not generation anymore dust or allergens inside your home. 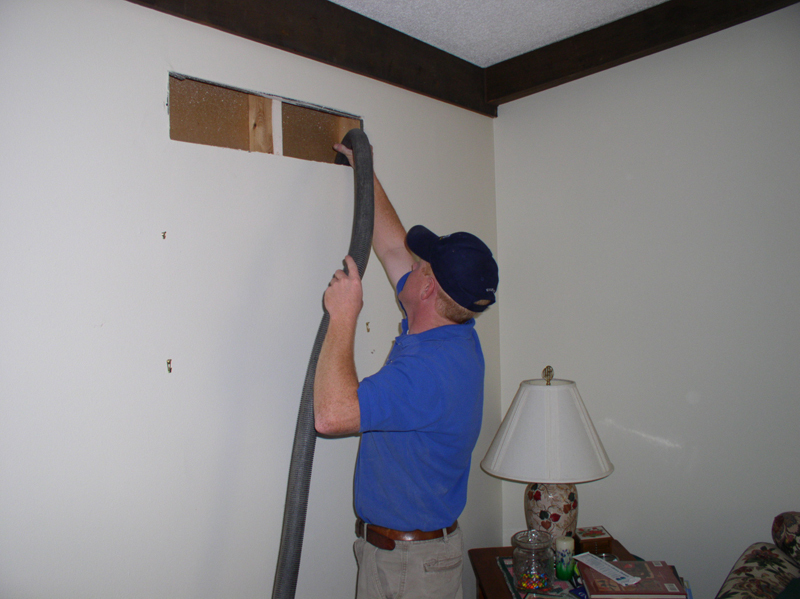 After doing construction or remodeling your home, you should consider having your air ducts cleaned out. All that dust and building material has found a way into the system and will build up, causing problems. Even for new build houses, this is an important step to improve the air quality. French Town Rug Cleaning Company is a division of Sams Carpet Cleaning & Repair that focuses on the proper care and maintenance of your fine rugs. We know that your rugs are exposed to wear and tear, and over time, spot cleaning and vacuuming is just not enough. That’s where we come in! 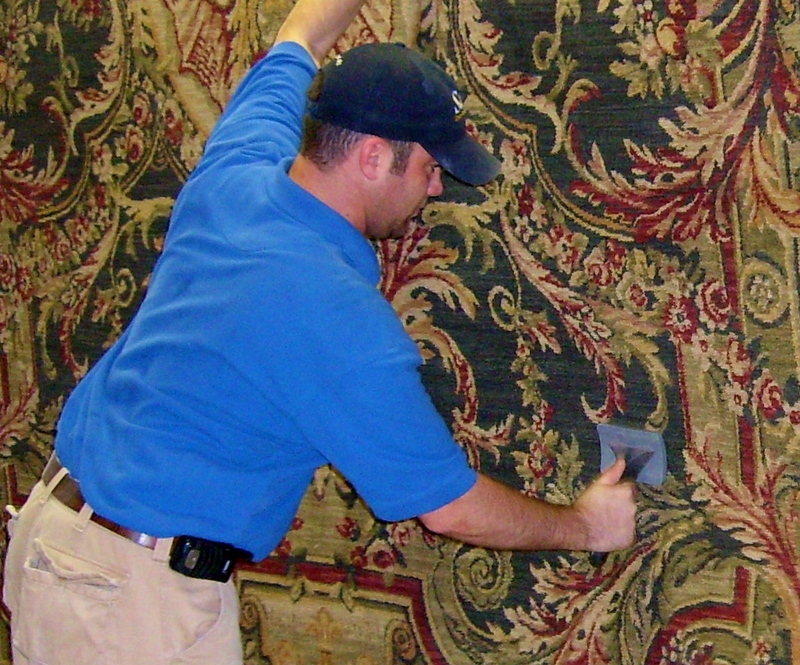 FrenchTown Rug Cleaning is one of the few fine and area rug cleaning companies certified as a Master Rug Cleaner, which is the gold standard in training and certification for rug cleaning professionals. We have a rug cleaning plant here, in house, so we will treat each and every rug by hand, with care. From $200-$20,000+ rugs, we clean them all! So what’s the process to cleaning a fine rug? First, we determine what kind of rug it is so we can determine the best course of action for cleaning it. Depending on the type of fibers and how well it’s put together, we will determine the best cleaning method. It’s a process, each and every rug is hand cleaned, which takes longer because of the care behind cleaning them. After cleaning, we send them to our drying room, then wrap them up and deliver them back to our customers. We offer pickup and delivery of the rugs, or you can drop them off to our store, whatever works best for you! We have a 10-15 day turnaround on rug cleanings. Not only are these rugs usually expensive, but they can also be antiques, handed down from generation from generation. We’ve had rugs that people have told us the family history. “I’ve had this rug my entire life, and I’m going to now pass it on to my son. We want to wrap it up and send it to New York.” The history and story behind each piece is truly amazing! Speaking of stories and history, over our 30 years in business, we have heard many funny, and horrible stories. We often receive the panicked phone call when a bottle of wine has been spilled on the carpet, when a can of paint falls down the stairs or a dog tearing up the house. One of the phone calls we receive the most often is from kids who call us to clean up the carpets before their parents come home from out of town. Looks like they hosted a real wild party and are looking to cover their tracks! Restoration stories always stick out to us. We once received a call from someone who came home from being out of town, and when they pulled into their driveway, they could see water pouring out from under the front door. The washing machine on their second floor broke, and water was rushing throughout the house. When we get those phone calls, the panicked, emergency situations, our first goal is to calm the customer and reassure them that they will be taken care of. We LOVE our community! It has been amazing over the years to see the support the community has given to us as a small, local business, and we look to help other local businesses to grow. 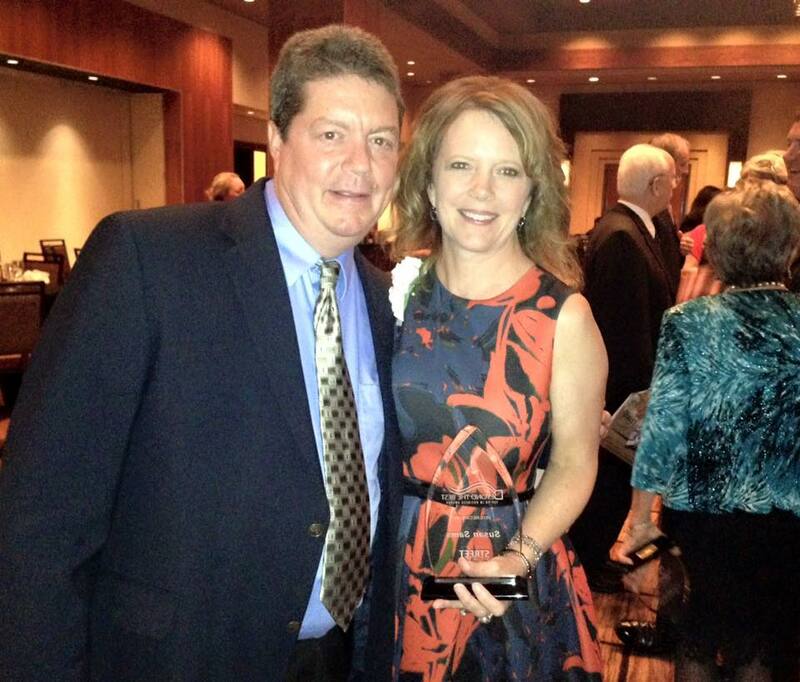 Susan is a member of the Greater St. Charles Chamber of Commerce, and was previously the Chairman of the Board. As our business continues to grow, we want to help our community. Participating and volunteering our time is important to not only us, but also to many of our employees. Business relationships are important to us. We have built a great relationship over the years with local businesses like Lindenwood University, the Peabody Opera House, Scottrade Center, and more. We hope you enjoyed getting to know us on a more personal level and allow us the opportunity to dive deeper into a few of our service areas. Interested in learning more or scheduling an appointment? Give us a call! And don’t forget to check out our current specials. My 14 year old carpets look brand new again! (even the mess from the box of hot chocolate envelopes that Snickers opened and licked into the carpet a few weeks ago is completely gone, oh, and the stain from the vine tomatoes she pulled off the counter and ate in the dining room —Yep, she’s a pain. I promise we feed her!) 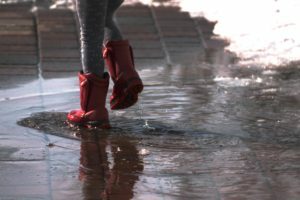 No one is going to be walking on them – EVER! I’m going to just sit here for a while and enjoy them before the kids come home and the animals are let out of their hiding spaces. I highly recommend Sams Carpet Cleaning! Well done, guys, well done!